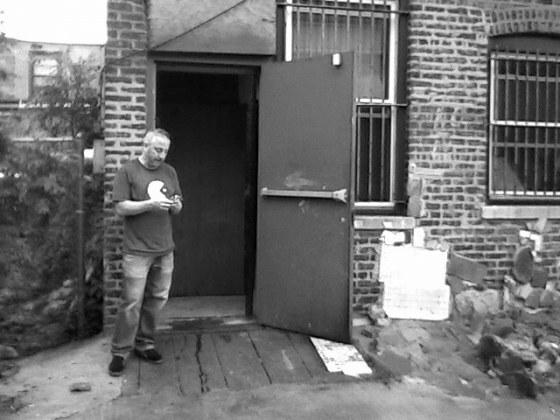 Tony posting some "LOLZ" outside the T.H.Ink back door. Blood Sucking Fiends played first. The guitarist was noodling around with a little Jesus Christ Superstar before they played, so I was hopeful we might get a little Lloyd/Webber action in their set, but, alas, I was denied. 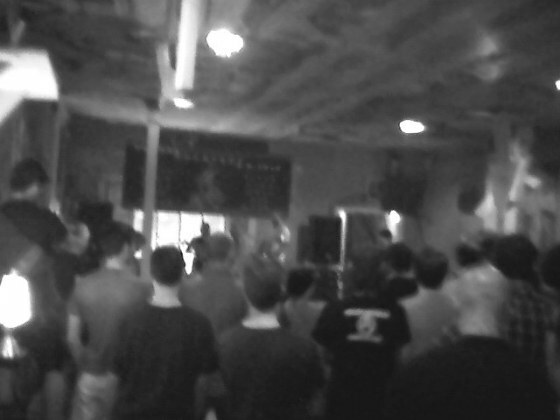 Death Dream played just before us and the crowd began to grow during their set. Abrasive punk with a Yow-ish singer. 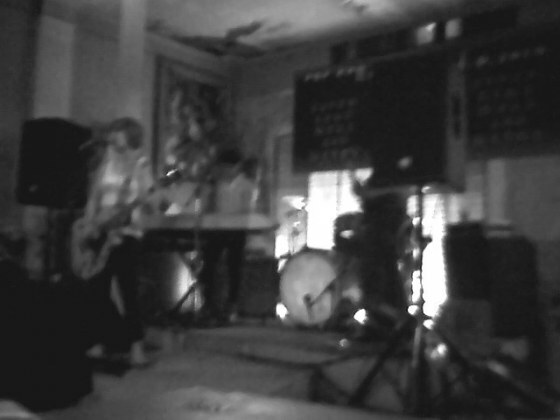 We played next and managed to get through our set without any problems. Soon afterwards we packed up and made room for the next bands. Tony and I left for quiet evenings with our families while John, the rock ambassador of Nonagon and all-around nice guy, rode back to represent for the rest of the day (he's probably on his bike heading for day 4 of the festival as I type this).